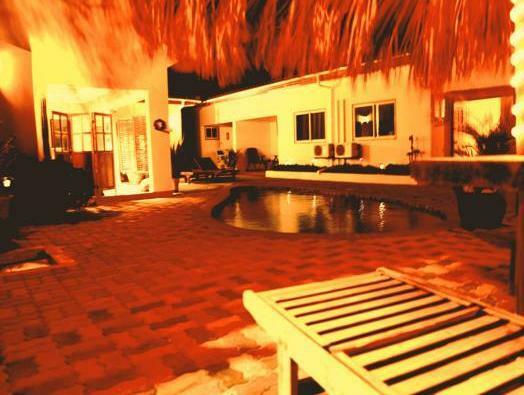 ﻿ Best Price on Little Paradise Aruba Vacation Apartments in Noord + Reviews! Located 5 minutes’ drive from Eagle Beach in the district of Matadera, these apartments feature an outdoor pool. Free Wi-Fi is provided in every room. A flat-screen TV and a fully equipped kitchen are found in each colorful, decorative room at Little Paradise Aruba Vacation Apartments. Coffee-making facilities and a washing machine are also included. Guests of Little Paradise Aruba can enjoy the outdoor sun terrace and cook out on the barbecue facilities or choose to ride one of the electric bikes for rent. Car rental and airport shuttle services can also be arranged. Park Arawa is less than 5 minutes’ drive from the apartments. Reina Beatrix International Airport is 10 minutes’ drive away. Please contact the hotel directly for appropriate procedure for payment. You must show a valid photo ID and credit card upon check-in. Please note that all special requests cannot be guaranteed and are subject to availability upon check-in. Additional charges may apply. Please inform Little Paradise Aruba Vacation Apartments of your expected arrival time in advance. You can use the Special Requests box when booking, or contact the property directly using the contact details in your confirmation.